Taking Jesus to our campus and world, one light at a time. 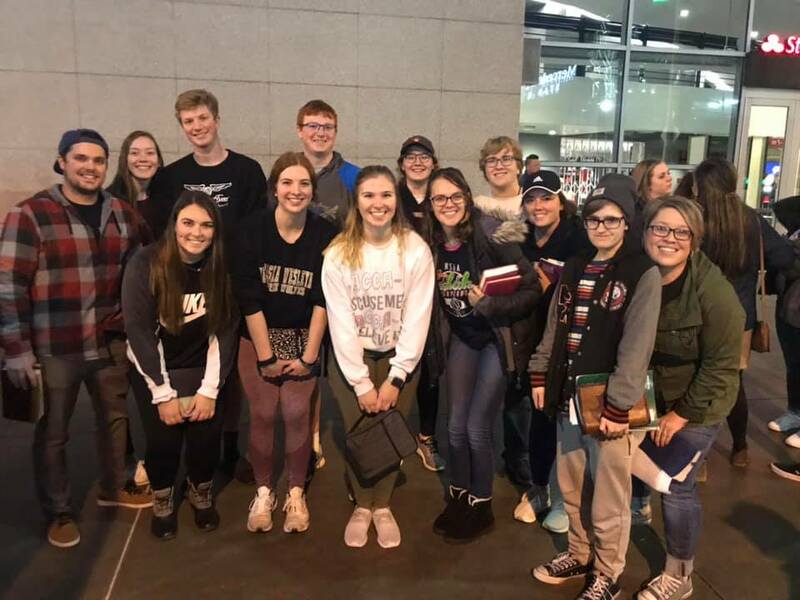 College Ministry at First St. Paul’s serves as a resource and support to members and friends as they continue their faith journey during the college years. We strive to walk with students as they grow in faith, discern their path and develop their gifts and service. At First St. Paul’s we believe each young adult is an arrow in God’s hand. “Grip, draw, anchor, aim, release.” And that’s what we want to help you do. Passion Conference exists to equip and encourage a generation to leverage their influence for the name and fame of Jesus. Each year, First St. Paul’s offers Passion Conference as an opportunity for seniors in high school and college students to steal away to Atlanta for a week of learning, growing and transformation. We’re heading back to Passion in 2020. (December 30, 2019 – January 4, 2020). 25 tickets available. Cost is $350/student. Contact Pastor Andrea to learn more. Immersion is a mission program offered through Experience Mission. Immersion provides a variety of short and long term mission opportunities for college students. To learn more about immersion, visit Experience Mission. To seek advice, prayer and information about pursuing immersion, contact Pastor Andrea Paulson. Breathe is an opportunity during winter and summer breaks to connect, touch base, study, grow and pray. Summer Breathe details coming soon! Are you a parent of a college student? Do you need guidance, support, prayer or assistance as you parent during these years? Do not hesitate to reach out! Whether you’re adjusting to a new empty nest, need guidance as you help your young adult make decisions or walking your young adult through struggles, First St. Paul’s is here for you. Contact Pastor Joel Remmers or Pastor Andrea Paulson.